A selection of impressive costumes is available to those who purchase Dynasty Warriors: Godseekers within the game’s first month of sale, allowing players to further personalize their gameplay experience. Lixia can switch her standard costume for the “Diaochan” costume, while Guan Yinping and Lu Lingqi will receive special costumes sporting fox ears and tails. Burlingame, Calif. — December 16, 2016 — KOEI TECMO America today detailed the exciting gameplay features and early purchase bonuses of the upcoming epic tactics style title, Dynasty Warriors: Godseekers. The game is due for digital release via the PlayStation®Store on January 31, 2017 for the PlayStation®4 computer entertainment system and PlayStation®Vita handheld entertainment system. Gameplay footage showcasing the tactical gameplay elements of Dynasty Warriors: Godseekers was released today alongside a plethora of screenshots which further detail gameplay aspects such as the immersive Path of Destiny mode, as well as early purchase bonuses. 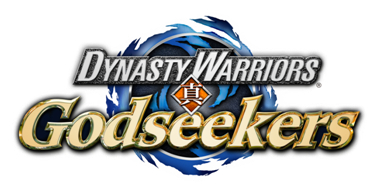 Dynasty Warriors: Godseekers utilizes a tactical gameplay system wherein players strategically move their units across a battlefield to defeat opposing forces. Actions take place on a grid, with units moving a select set of spaces before carrying out offensive or defensive maneuvers. Cunningly attacking from the sides and rear of an enemy will deal significant amounts of damage, allowing units to be eliminated more efficiently. Defeating enemies successfully will enable Synchro Mode, which allows the user to unleash powerful attacks that can decimate an opposing force. A useful companion in battle, Lixia has strong powers once sealed away into orbs. Lixia’s Orbs are unique objects that can lend an upper hand against tougher opponents. Whether the player chooses to envelop the battlefield in flames or flood enemy strongholds, these elemental changes will break through defenses and reduce infantry numbers! Players will unlock and obtain a variety of Orbs through the story, each offering its own unique abilities. For more information and to stay up-to-date on the latest news for Dynasty Warriors: Godseekers, please visit the official site at www.koeitecmoamerica.com/godseekers, Like KOEI TECMO America on Facebook at www.facebook.com/koeitecmous, and become part of the #KTfamily by following KOEI TECMO America on Twitter at @KoeiTecmoUS. 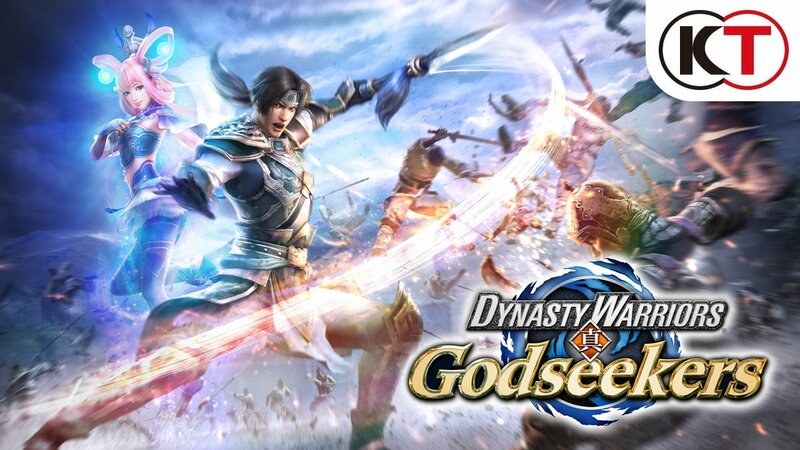 Dynasty Warriors: Godseekers follows renowned warrior Zhao Yun and his close friend Lei Bin, who unwittingly liberate a young girl, Lixia, from a mystical prison. The two friends and the mysterious Lixia then find themselves entangled in a pivotal struggle for the salvation of the world, wherein they must navigate the maelstrom that is Three Kingdoms era China, meet countless great warriors and take part in historic battles. In their efforts to unravel the mystery behind Lixia’s imprisonment, Zhao Yun and Lei Bin uncover a hidden, terrible fate, forcing them to make difficult decisions in a battle that will echo throughout history. This title has been rated “T for Teen” by theESRB. ABOUT KOEI TECMO AMERICA CORP.
KOEI TECMO AMERICA CORP. is a publisher of interactive entertainment software for current generation consoles, handhelds and digital download content based in Burlingame, California. The company is a wholly owned subsidiary of KOEI TECMO HOLDINGS CO., LTD., headquartered in Yokohama, Japan. KOEI is best known for its Dynasty Warriors® and Samurai Warriors® franchises. TECMO is best known for the Dead or Alive®, Ninja Gaiden®, Tecmo Bowl®, and Fatal Frame® series.